NeoBot, a chatbot solution is getting deployed at various interesting digital platforms. 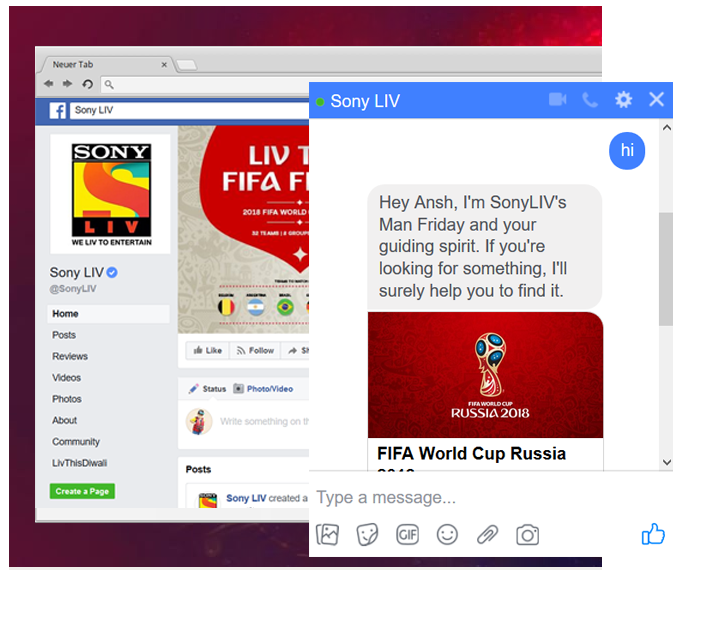 From consumer feedback on the website to chatting with Facebook fans and new innovations like video integration. NeoBot is on a very interesting journey. 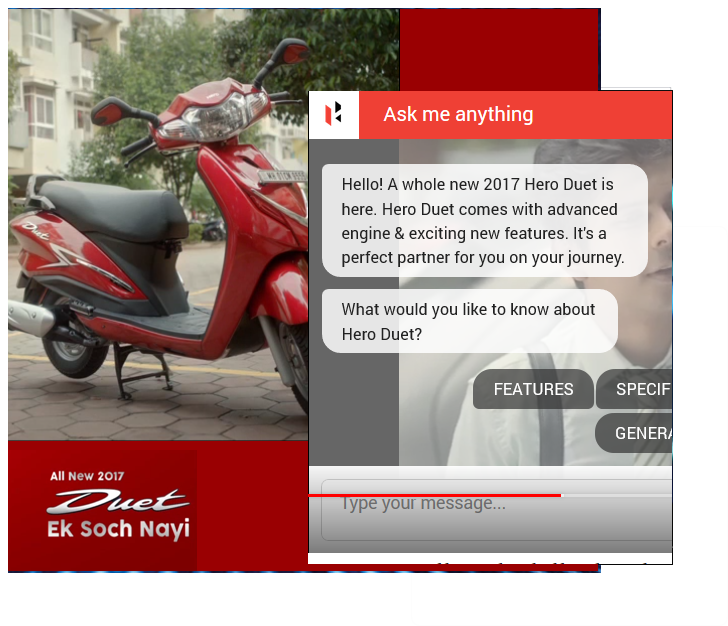 This was a marketing campaign implementation and the NeoBot team did India's first video integrated chatbot implementation. This was done in partnership with the brand's digital media agency. Lloyd's electronic items aren’t just popular for their impeccable quality, but for diversity as well. In order to make this searching process easier for shoppers, NeoBot engages a user with its conversational style of communication so that a customer experience is more intuitive and interactive than simply, ‘Browse and Buy’. 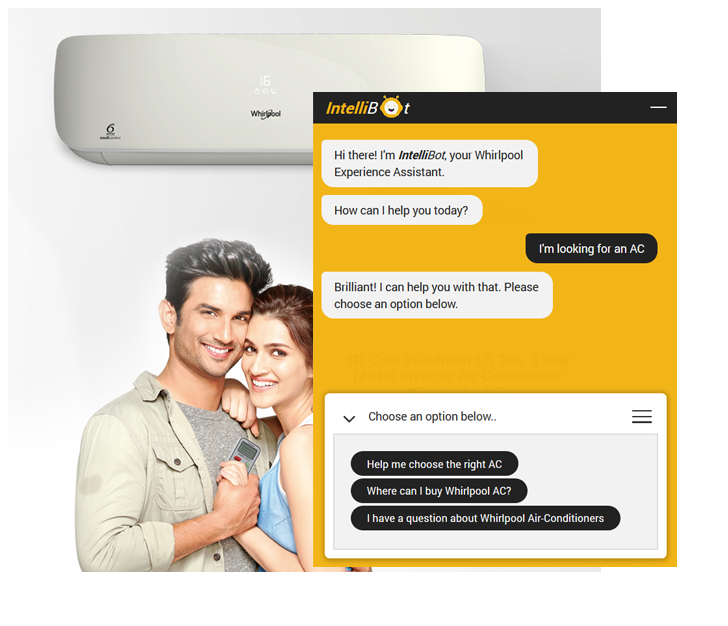 Whirlpool is India's leading home appliance brand. With more than hundred thousand visitors coming to the website and going through the complete range of products, it was important to replicate the shop-floor experience on the website as well where an expert can help consumers make the choice. 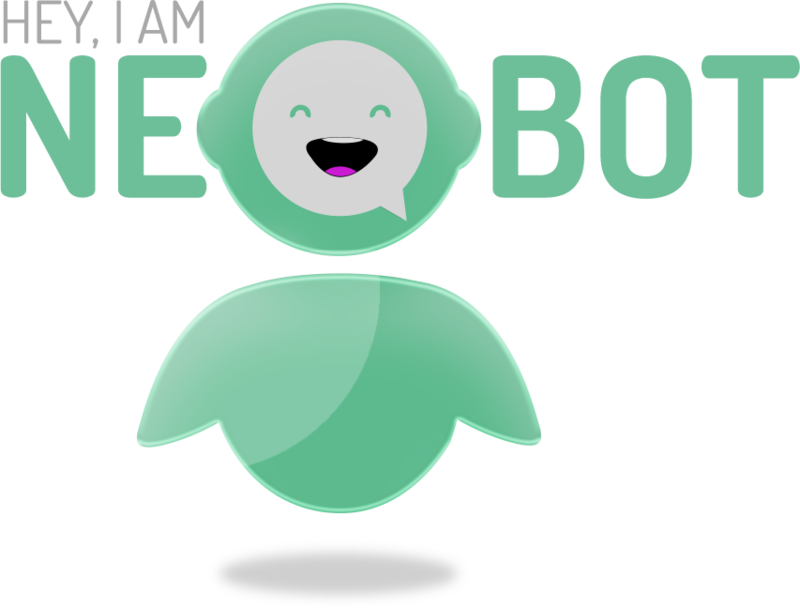 In comes NeoBot, the smart chatbot that has been programmed to give advise on product choice and engage with consumers constructively to address the frequently asked questions. Our innovation of video integration of NeoBot was widely appreciated and found another brand i.e. Hero to use it as a part of their digital campaign for Hero "Duet". This was also done in partnership with the brand's digital media agency. NEW DELHI, July 13, 2017. 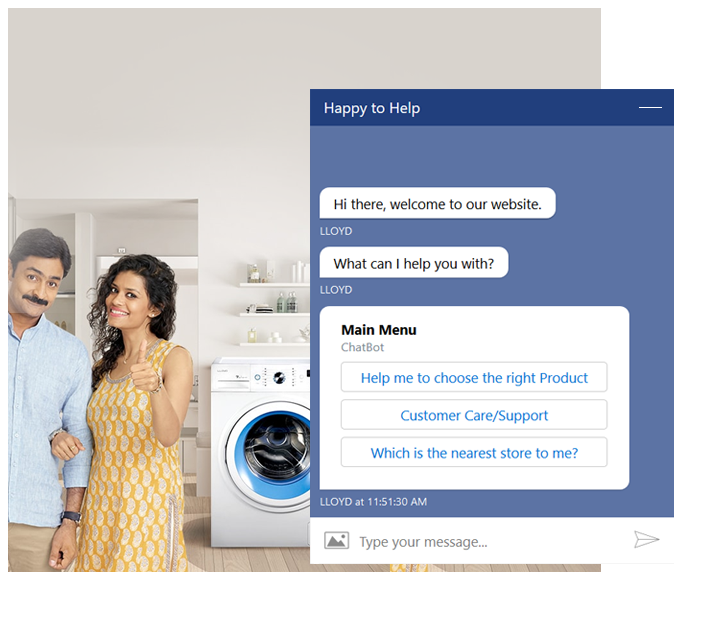 Neuronimbus launches the first video integrated Chatbot in India. NeoBot can be integrated with any existing CRM, LMS or Data Application. 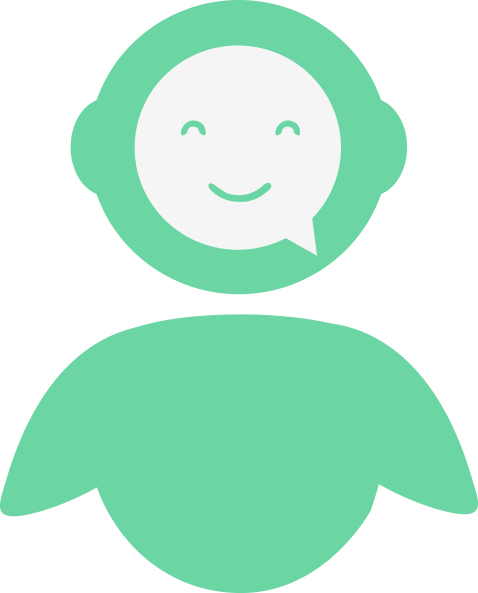 It has an intelligent feature of sentiment analysis which can be data trained to provide the ultimate chatting experience to all the users. Hi there, my name is [NeoBot]. I was programmed by the brilliant minds at Neuronimbus who have given me the ability to converse as humanly as possible while carrying out the tasks I was designed to. Neuronimbus is an A-Z digital solutions company which believes in partnering with clients and providing seamless results. Developers at Neuronimbus wake up every day to create bots that people use, Bots that make money, Bots that make your life easy. What all NeoBot can do? NeoBot can be integrated with any existing CRM, LMS or data application, it can convert data input and form it into a conversation and capture messages as responses. 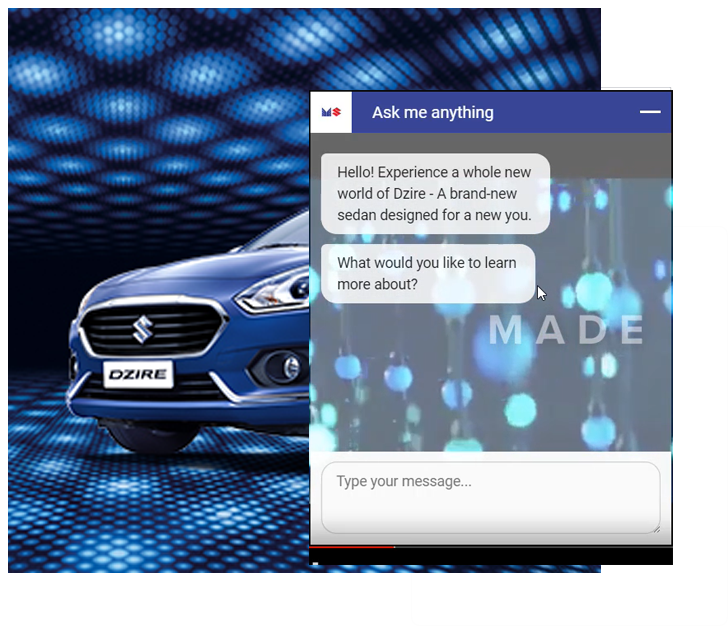 In addition to that, it has features of sentiment analysis and can be data trained to deliver an engaging chat experience. Yes! NeoBot is fully capable in capturing leads across different platforms. Can it also capture consumer feedback? Yes! NeoBot can ask structured question to consumer for any product or service experience. It can be integrated with any CRM to provide further inputs. Does the bot have intelligence? Yes! The bot has elementary intelligence, which is being enhanced, to a higher level. What is the pricing of NeoBot? There is a one-time setup-fee for visual customization and configuration including chat transcript updates and the second cost component is the ongoing monthly subscription feed which is based on the volume of conversation. Let's talk business or just have a coffee. We would love to hear from you!